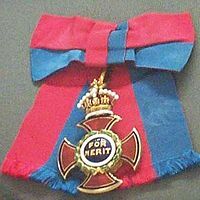 Humble and hearty congratulations to Martin West on his appointment as a member of the Order of Merit. He is the seventh classical scholar to receive this exclusive honour in the 111 years of the Order’s history, following Sir Richard Jebb (1905), Henry Jackson (1908), Sir James Frazer (1925), J.W. Mackail (1935), Gilbert Murray (1941), and Sir Ronald Syme (1976). Three of the seven have produced, among their other achievements, landmark editions of the works of Greek dramatists – West of Aeschylus, Jebb of Sophocles, Murray of both Aeschylus and Euripides.